Today the temperature was hovering around 100F and the humidity was almost unbearable. So what, you say; You have A/C, you say…. Well, we do, but Bella and I spend half a day at the Topeekeegee Yugnee Park, which is just a few miles up the road from our house. It was very relaxing and beautiful, but oh so hot. 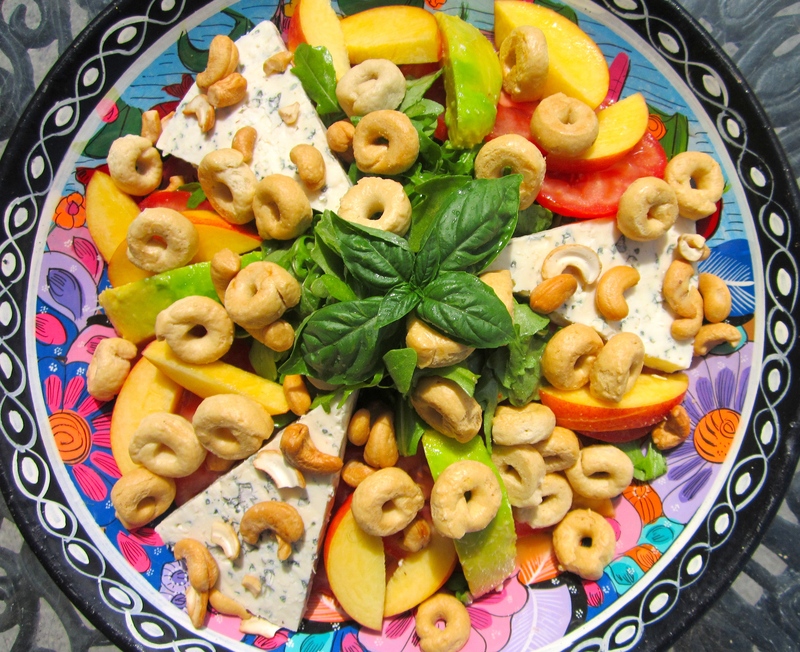 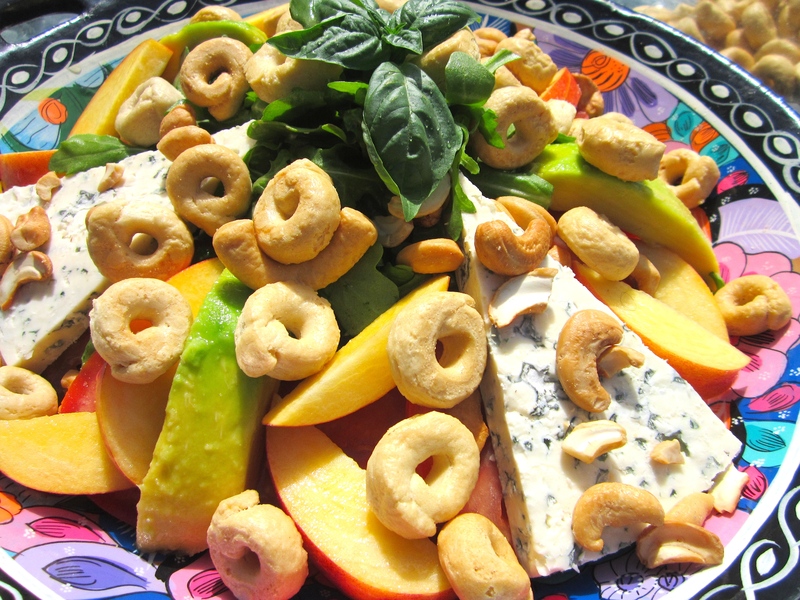 I usually don’t use much fruit in my salads, but the firm, slightly tart nectarines perfectly complimented the cheese, salad and nuts.